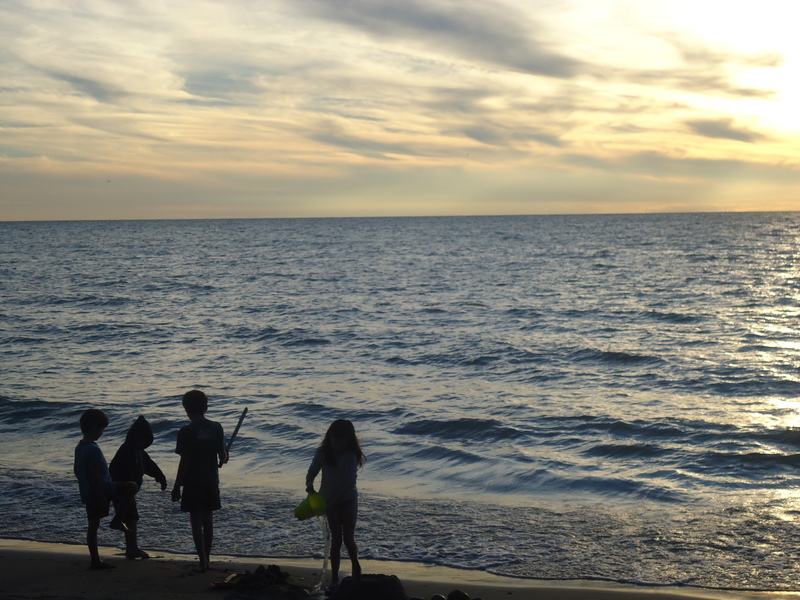 My children spent the past two weeks in a village on Lake Huron with their paternal grandparents and two cousins. Others came and went – their dad, more cousins, aunts and uncles. I joined them towards the end. All summer, Lachlan had been anxious that time was passing too quickly. We’re leaving for Poland the first week of September, a trip my parents have been planning for two years, and the first time I’ll be taking my children to my birth country. Lachlan refused to talk about it. “If you talk about fall, you’ll make the summer go by too fast. First it’ll be fall, then I’ll be ten”. So much angst at childhood passing. He won’t be ten until next May. But the end of the decade is looming large before him. When I came to meet them last week, he was finally ready to talk about Poland. Two weeks of playing in the garden, biking around the village, roaming on the beach; waking up every morning to play board games with cousins, sharing Marx Brothers movies (the cousins have also caught that particular bug this summer). It gave him the sense of timelessness he had been craving. My son, so much like me in wanting time to slow down, just a little. A play was developed over the past week and performed on our last evening together. An extended family effort – costumes sewn, props created or found. My husband taking the tangle of children’s ideas in hand and bringing it together into a coherent narrative: directing, encouraging. These cousins. How sweet their familiarity and closeness, their collaboration. I can’t put myself into my child self to remember how that felt. There was anticipation, I remember, and certainly no premonition of what a monumental break there would be between the old life and the new. No understanding that it was a forever move. We were going to meet my father, who had already been working in Canada for six months and who we missed a lot. We had a brand new baby sister to introduce him to. We’d had to wait until she was born to be allowed a visa to join him. When I imagine cutting Malcolm out of the web of relationships that he’s so tightly woven into, I feel the certain trauma of it. It’s putting him in my place that floors me. Emigration, being uprooted, was the defining narrative of my childhood. It took me years to feel at home, to feel any sense of belonging. But I no longer belonged in my old home either. The classic story of emigration, that in-betweenness. We feel our beings hovering, not sure if we have finally landed. Some people I’ve met emigrated and then visited their homeland every year. That was not our story. And now I want to be rooted in place. I want to fully belong to this land and it to me. This country has been my home for many years, but that deeper desire has been the defining narrative of my thirties. I spin strands of family and community around my children, holding them close to family and friends, making them feel at home. Do we all try to heal our own wounds through our children? This place is exactly where I want to be; there is nothing to feel sorry about any more. This is just my story, among many others. And now close to another twelve-year gap since I’ve been to Poland. My cousins, most of whom I now barely know, all have children of their own. My remaining grandparents, my two grandmothers who I saw only a few times as an adult, have died. Despite how little time I had with them in my life, I feel their influence and love strong within me. I see traces of family characteristics in my children. I want them to know my history, their ancestry, in a tangible way. I’m not sure if Malcolm is ready for this trip; but I know he’ll adapt, as children do. Whatever seeds it plants in him will be watered over the years. He’ll step outside his daily life, see the world from a different perspective – as much as a six-year-old can. Then he’ll return home. My story is only where his story begins. This entry was posted in community, family, stories. Bookmark the permalink. Such a great recount of summer bliss! It sounds like the kids had a blast at the lake. I think it’s awesome how well you know Malcolm and how sure you are that things will be alright. Sweet confident woman you are! So much feeling and emotion shared! Beautifuly written and I feel so honored to have been witness to sone of this story. Safe travels friend! 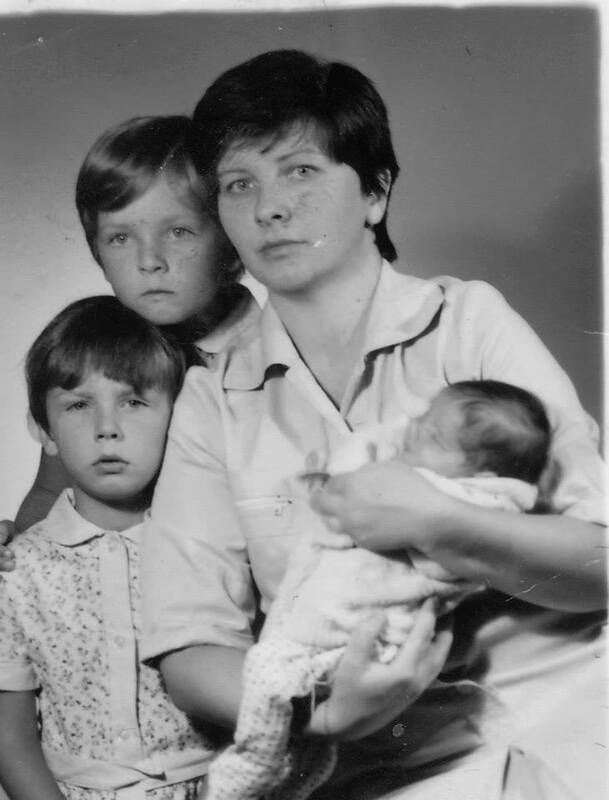 That photo of your Mom, Basia, Ania and yourself is so touching. Such young open faces. Lovely recounting Gosia. Your blog is a great read. Wonderful words that you know resonate within me. To be a stranger in an unknown land, making a way for yourself and the next generation. This is a most rich heritage, bringing seeds of an adventure spirit we plant in our children. How such a priceless gift comes with such great sacrifice, my dear friend.